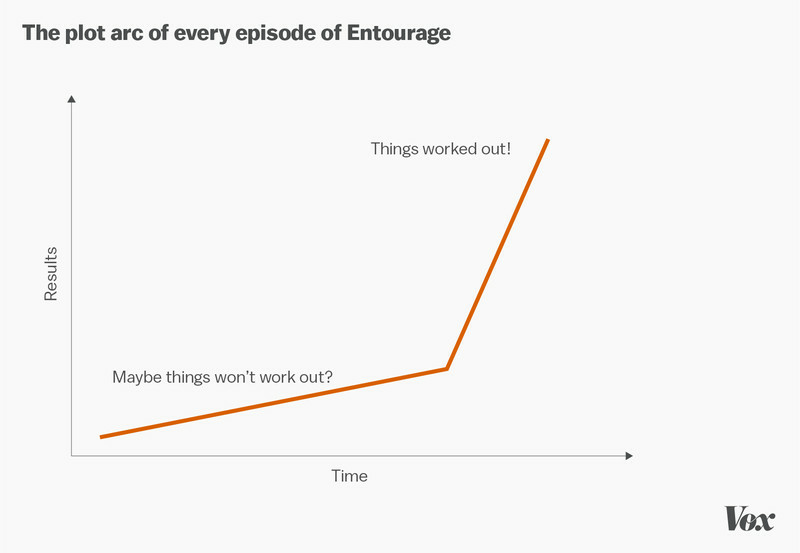 Maybe I’m not the audience for Entourage. I’ve seen very little of the show – snippets here and there of the later seasons that my wife forced herself to sit through, presumably out of completist compulsion. So I had no sense of good will towards movie star Vince (Adrian Grenier), his agent Ari Gold (Jeremy Piven), nor any of his self-obsessed douchebag friends (Kevin Connolly, Kevin Dillon, Jerry Ferrara). But it’s hard to imagine even eight seasons with these loathsome losers would’ve left any lingering positivity, any purpose behind the expensive sets, the famous cameos, the bevy of undressed ladies. The film’s awkward episodic narrative lacks any real tension or momentum – oh no, Johnny Drama’s scenes might be cut is about the sum of it – so we’re inexplicably expected to enjoy the rise and rise of these over-privileged, over-sexed subhumans. The film’s futility is brought into sharp focus when you consider its antagonist, one Travis McCredle (Haley Joel Osment). He’s the heir to a Texas fortune. He’s brash, entitled and boorish. We are expected to regard him with derision for these qualities, and yet the fact that our supposed ‘heroes’ are just as bad somehow escaped the screenwriter’s notice. Utterly unnecessary. I think you summed it up in your first paragraph — you didn’t watch the series much, therefore didn’t really get to know the characters and witness the struggles. Fans of the show are hyped to see this b/c it feels like they are revisiting old friends who they haven’t seen in a while. Since you don’t know them, you don’t get those same sentiments. I’m not sure how the movie is, but believe me when I tell you there was a TON of conflict and struggle throughout the series. Vince was the only star of the group, and was always just a decision away from becoming irrelevant. Studios were cut-throat, brutal and fickle as they battled for the rights to films and getting commitments from agencies to star in their films, etc. The show was excellent. You should watch the pilot and give it a few episodes and see how you like it. If you were to watch the entire series, you’d see the movie differently. This image is pretty well how I’ve heard the series described – and syncs up with what I’ve seen of the final couple seasons, but I could certainly be wrong. Still, if the film is only aimed at fans, I don’t understand why it’s getting a wide cinema release? Unlike Veronica Mars, there’s no reason to present it general audiences if it’s just fanservice (and I’ve heard plenty of fans of the show say it’s terrible as well, for what it’s worth!). I’m watching this at the Melbourne preview tonight … I’ve never seen the show either, so I doubt I’ll be impressed! Sounds. Horrible. Never wanted to watch the show and have no desire to see the film, either. I gather the show had some merit as a pseudo-satire in its early days, but whatever potential it had has long since disappeared. I’ve seen worse movies, it’s just so aggressively pointless. Like, at least if it had the decency to be enjoyably terrible I could’ve got something out of it.